This weekend sees the penultimate round of the 2015 WEC series, the WEC Shanghai 6-Hours, and frankly, we haven’t seen such a closely fought title in many years. With Porsche’s rise to prominence, Audi have had a challenger that has not only been able to match them, but also to threaten their position at the top of the tree. The WEC Shanghai 6-Hours sees Porsche leading the FIA World Endurance Manufacturers’ Championship (LMP1 class) with 264 points to Audi’s 211 points. Toyota is lagging behind in third place, but then their car hasn’t been a strong contender this year. In the driver’s stakes it is much closer with Porsche #17 drivers Webber, Bernard and Hartley on 129 points apiece, while last year’s winners, the #7 Audi drivers Lotterer, Tréluyer and Fässler are just a point back on 128 each. 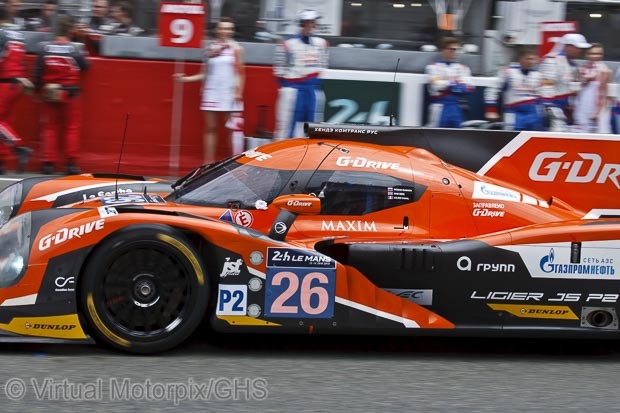 In the LMP2 class, G-Drive Racing are in a strong position in first and third places with 134 points and 119 points respectively. 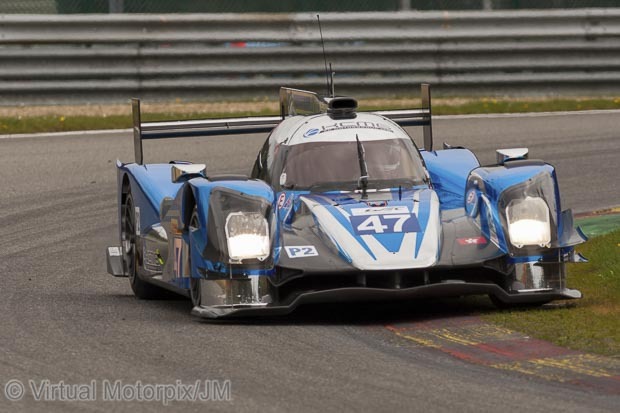 But with a home race ahead of them, the KCMG team is poised in second place with 122 points. This year the LM GTE Pro class has been a rather close run affair too, with Porsche being gifted some slack on the Balance of Performance front. This has resulted in some close racing, and currently the Porsche Team Manthey (car #91) leads the class with 119 points, followed very closely by two AF Corse cars, the #71 car with 117 points and the #51 car on 111 points. Porsche driver Richard Lietz leads the driver’s Pro class table with 110 points, while Rigon and Calado have 103 points each with Bruni and Vilander in third place with 93.5 points each. 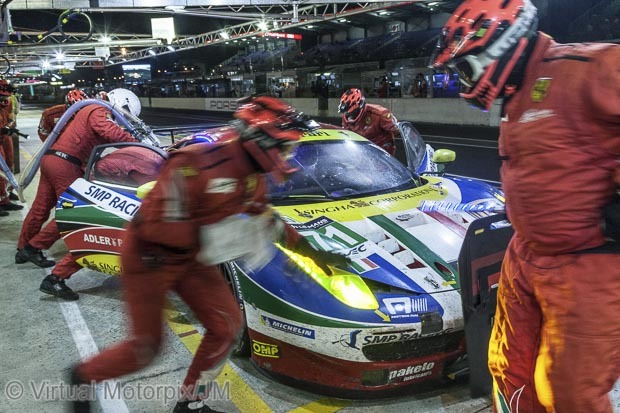 In the LM GTE Am class, the #72 SMP Ferrari leads the class with 140 points followed by the #83 AF Corse Ferrari on 111 points and the #77 Patrick Dempsey Porsche in third. 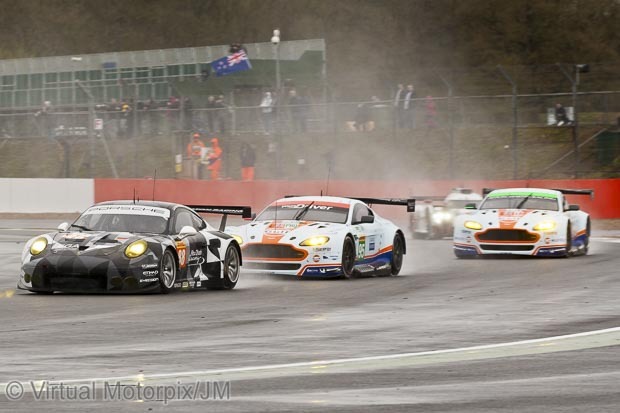 It has emerged this week that the #95 Aston Martin GTE Pro car driven by the Danish trio of Sorensen, Nygaard and Thiim has been withdrawn from the WEC Shanghai 6-Hours. This is down to disappointing performances allegedly due to an unfavourable BoP ruling. This is a great shame, as in the end it is the spectators who are the losers. 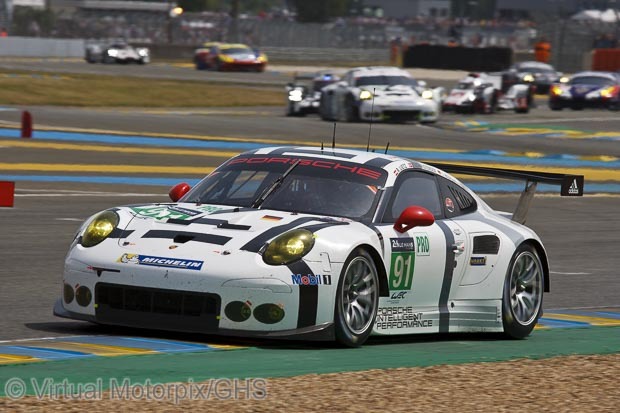 Porsche too has suffered at the hands of the WEC authorities here, as the German manufacturer has not scored one pole position in the last two seasons. A point that is raising some eyebrows and a few hackles too, is the fact that next year’s F1 Azerbaijan GP date clashes with the Le Mans race on 18/19 June. 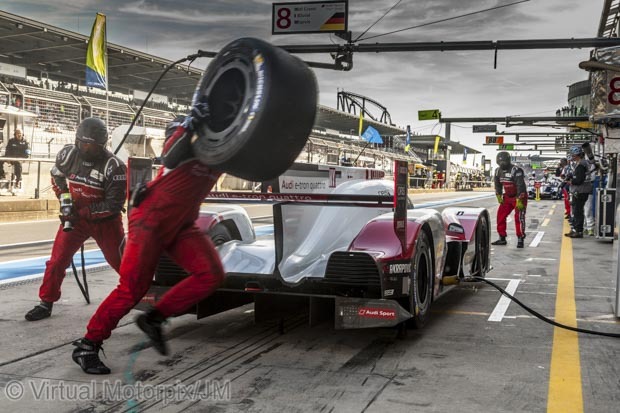 One could ask the question as to whether any of Le Mans’ hardened fans would give this any thought, “Possibly for a millisecond,” said VMP snapper John Mountney with a grin. 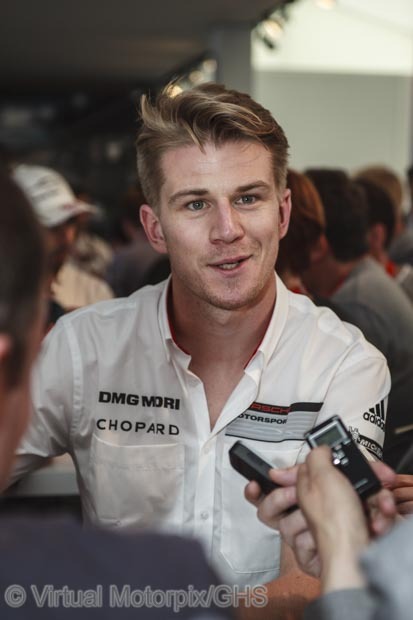 The loss though would be felt as Nico Hülkenberg would be unable to defend his title. 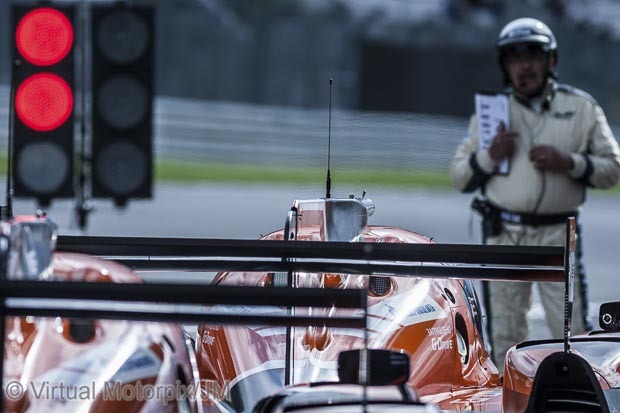 This comes at a time when the WEC is gaining in popularity and as a result is attracting more manufacturers into the sport. It wouldn’t be the first time that Bernie Ecclestone has intervened when sports car racing has threatened to encroach on his F1 empire. But in the meantime enjoy the WEC Shanghai 6-Hours!